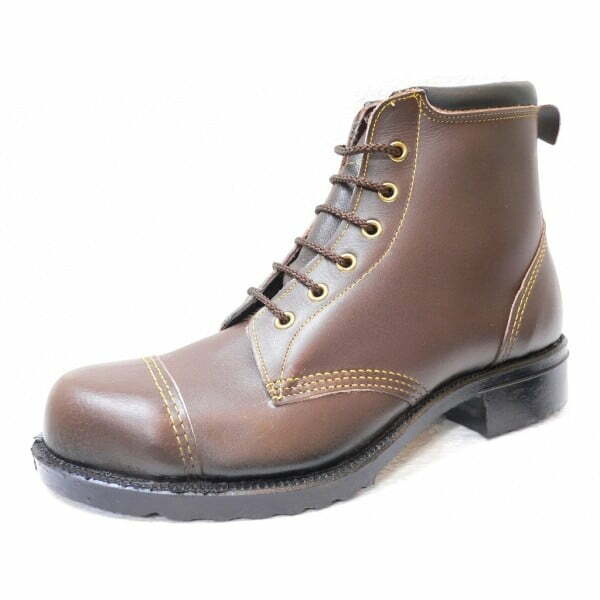 Derby style work boot with 7 eyelet 6.5 inch upper made with mahogany brown waxy full grain leather. 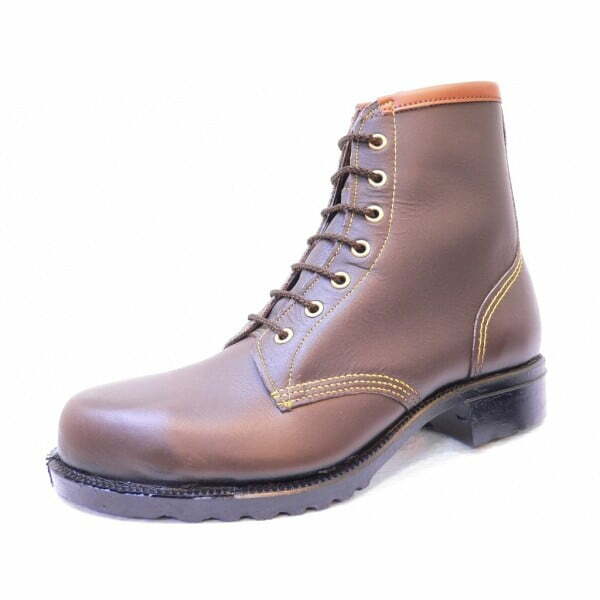 Derby style work boot with 7 eyelet 6.5 inch upper made with mahogany brown waxy full grain leather. 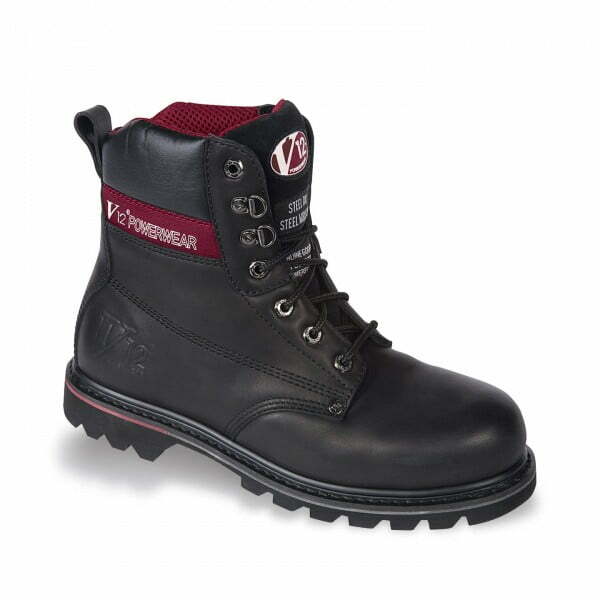 Protective steel toe cap and direct vulcanised heavy duty oil and heat resistant rubber sole. Ultra hard wearing industrial safety boots suitable as farm boots for the harshest of agricultural environments. High quality British made wide fitting safety footwear at a very reasonable online price from one of the longest established manufacturers and suppliers in the country. To see similar style with commando sole. Lovely boots, they differ a tiny bit than in the picture( the top rim is black instead of light brown) but in my opinion makes them look better. the dark brown and yellow stitching looks lovely, and they feel very well built, they very much remind me of 1960/s 70s work boots. Perfectly made, after a very- short breaking in period these boots are wonderful and comfortable. 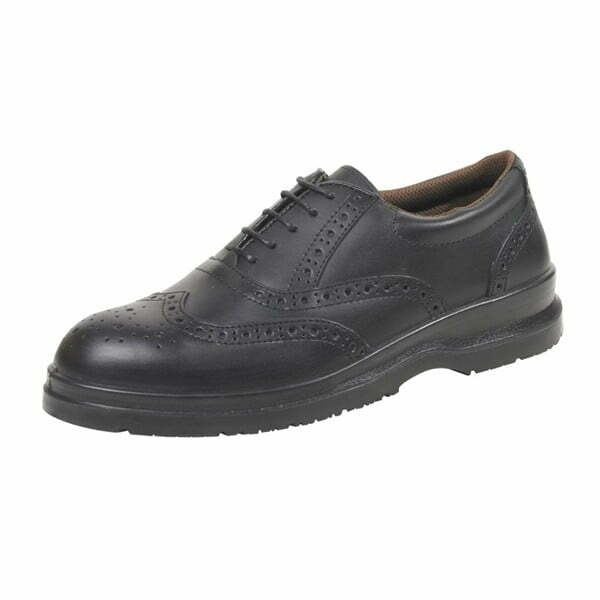 Even from the first time you put them on you can understand their impeccable quality. Special thank to Mrs. Libs for her assistance and for making the selection of which boots to choose very easy! Had these boots a month, working in a brickyard as a fitter, and a very heavy user of boots. Nothing thhe company provide seem to last, or have fitment issues. These will last, and fit perfectly for me slender feet. Although no where near that point, but for future reference can these boots be resoled? Thank you for your feedback on the 11or safety boots, we appreciate you taking the time to let us know the boots are OK for you. The vulcanised rubber sole on this style can not be replaced, so it may be worth considering having the same style fitted with the heavy duty Vibram replaceable sole unit when you next require a new pair of boots. Thank you once again, Libs.